What is a New York movie? 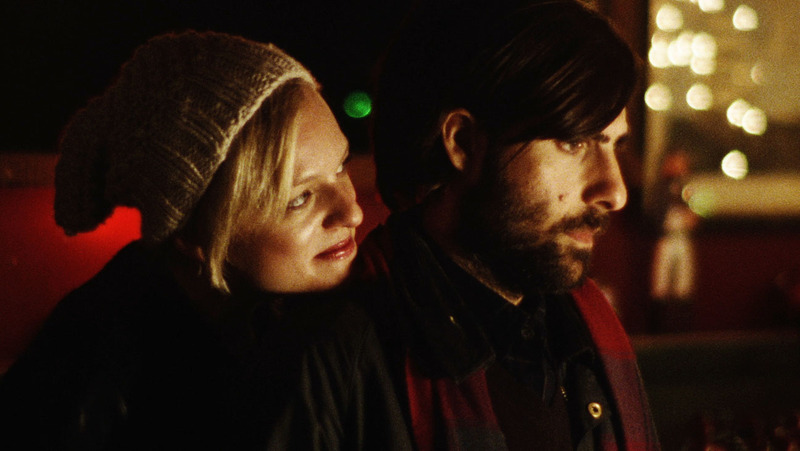 An exploration of Alex Ross Perry’s Listen Up Philip and Desiree Akhavan’s Appropriate Behaviour. In film criticism, the term ‘a definitive [insert genre] movie’ is frequently bandied about, placing its subject on a pedestal because it exemplifies the very best of it’s type; thereafter held up as a litmus test for all its successors to borrow from and be inspired by. New York is a city so iconic, cinematic and beloved that it has become a genre itself. To set a film there is to immediately bring to mind such classics as Taxi Driver, Manhattan, The Naked City, Goodfellas, Breakfast at Tiffany’s – so on and so forth. Noah Baumbach’s Frances Ha is a recent example of a film that has been lauded as “a modern New York classic” (The Playlist), whilst Little White Lies called Appropriate Behaviour “an original and charismatically honest New York comedy”. But what is a New York movie? Can a city so multifarious and dynamic ever be pinned down? I took it upon myself to explore what it means to make a film in the most illustrious concrete jungle. New York is a breeding ground for possibility and heterogeneity, and the films which emerge from and about it can mean almost anything to almost anyone. By accepting the impossibility of creating a definitive vision of New York, it becomes a place where you are free to project your own vision. In his maker’s statement, Alex Ross Perry explains that Listen Up Philip reflects “what [his] New York looks like, and it is one I seldom see depicted with any honesty in cinema….Listen Up Philip is a summation of all I’ve observed, lived through, laughed at, narrowly avoided and absently longed for during my time in New York”. Similarly, in a behind-the-scenes interview with her producer Cecilia Frugieule, Desiree Akhavan states that she wants her film “to reflect [her] morals and [her] tastes”, thus Appropriate Behaviour’s rendering of New York is very specific to her. A native New Yorker herself, Akhavan argues that too many movies about the Big Apple are “like a love letter – and I feel like the love letter I want to write points out all the flaws and is like, ‘I love you, despite all those flaws’”. Both films are set in and around Brooklyn, using locations in Dumbo, Park Slope, Red Hook and Bushwick. Of the locations he chose, Alex Ross Perry, in the director’s commentary says he wanted to capture “a New York that isn’t identifiable or modern”, whereas Akhavan has deliberately chosen, played up to and satirised a very recognisable and hipster Brooklyn. New York is a breeding ground for possibility and heterogeneity, and the films which emerge from and about it can mean almost anything to almost anyone. As Shirin tries desperately to win her ex-girlfriend Maxine back, we watch her manoeuvre the absurdities of life in Brooklyn. Though her new roommates in Brooklyn are tattooed artists who met at Occupy Chelsea and she encounters a hair model named Tibet, this is a feat most notably achieved in the sequences where Shirin teaches 5 year olds (the likes of which are called Kujo and Blanche) how to make movies: “I could lock them in a room with a half-eaten apple and a tic tac and come back to The Mona Lisa”. For both filmmakers then, Brooklyn is a way to film New York from an outsider’s perspective. As Perry remarks in his commentary, the only time his protagonist Philip ventures into Manhattan is to interact with his literary idol Ike Zimmerman (Jonathan Pryce), and whilst there he marches frantically and avoids eye contact with everybody. “It is ugly. And loud. It’s always moving, and I never feel still long enough to hold a thought”. Contrary to popular depictions, New York actually seems to stifle Philip’s creativity and he feels the he needs to escape the city. Listen Up Philip expertly highlights the general alienation of living in a vast, sometimes hostile city like New York, with the film’s narrator (Eric Bogosian) pointing us towards the loneliness and vapidity of a creative hub, where an individual is surrounded by similar people all the time. Conversely, though Akhavan deals in alienation, hers is more inward. Shirin feels alienated from her own culture and history because sexually she identifies with something so antithetical to it. Perry and Akhavan are both concerned with filming a New York that depicts their own personal experience. Philip Friedman, as played with incisive wit and acidity by Jason Schwartzman, is a distinctly male, academic, middle-class and Jewish representation of New York, whereas Desiree Akhavan’s Shirin is Persian, bisexual and female. These two characters embody the spectrum of lenses through which the New York experience can be filtered. Whilst Appropriate Behaviour’s exploration of Persian bisexuality is strikingly original, there are moments that ring familiar. Akhavan herself describes the film as “a Lesbian Annie Hall from the perspective of Annie… if she’d been a closeted Persian Bisexual” and admits that she “grew up watching Woody Allen…There’s a sequence when they’re at the bookstore where we stole, or paid homage to a shot in Annie Hall. We were very aware of the references we were making and I wanted to make a real conscious reference to that film”. Perhaps the seminal filmmaker associated with New York, Woody Allen became a zeitgeist for the pressures and peculiarities of modern living and urban romance. As seen in the likes of Annie Hall, Manhattan and Hannah & Her Sisters, Allen’s films are ultimately concerned with his characters’ failure to find happiness in the metropolis. It’s a theme both Listen Up Philip and Appropriate Behaviour reference without ever succumbing to stereotype or convention, and their respective directors cite Woody Allen as having a direct, and indirect influence on the tone and texture of their respective films. It’s present in the intertextuality, self-reflexivity and intellect of their narratives, as well as their stylistic choices. Perry admits to being inspired by – and in some cases – directly lifting certain iconic camera movements and shots from Allen’s movies. As The Playlist notes, “Perry borrows from several influences to make something unique and idiosyncratic, so he’s also a pricklier Woody Allen, a less fastidious Wes Anderson, and so on”. “A big and exuberantly gaudy directorial performance that’s delivered in a modest and intimate format, and greatly aided by the remarkable images of Sean Price Williams, whose darting, agile camera work, often apparently with telephoto lenses, achieves a blend of intimacy and distance, of perception and opacity reminiscent of the camerawork in the films of John Cassavetes”. The frenetic and spontaneous camerawork used in Listen Up Philip perfectly captures the energy of the city; at times chaotic and disorienting, but never boring, a sensibility accentuated by the use of jazz. The jazz-inflected score is something that has recently been seen in another New York set movie; Birdman, which coincidentally also explores notions of art, ego, success and sustaining relevance in an ever-changing landscape. Shot on super 16mm film, the aesthetic of Listen Up Philip is warm, saturated and autumnal, an artistic choice that seems at odds with Philip’s caustic persona on-screen, but which creates a heightened paean for a bygone era, vividly reminiscent of the 80s classic When Harry Met Sally or indeed the muted greys and browns of Annie Hall. Appropriate Behaviour has a much grittier feel. DoP Chris Teague, whose CV also includes the New York set Obvious Child – discussed Desiree’s influences in Filmmaker Magazine, citing the oeuvre of Noah Baumbach. “Appropriate Behaviour’s a little bit rough around the edges, [and was filmed] almost entirely handheld… it feels very loose”. This quality corresponds with the messy, ‘making it up as you go along’ aesthetic of Listen Up Philip and perhaps reflects an attitude to life so commonly observed in recent representations of New York and its millennial inhabitants. Ultimately, New York epitomises the myth of the American Dream, and the illusion that opportunity and ambition will inevitably collide to fertilise success. Contemporary portrayals speak to an experience more cynical and fraught with anxiety than the glamour and romance oft associated with the city. One just had to look at Lena Dunham’s Tiny Furniture or Girls to see that feeling adrift is the main concern for New Yorkers in our era. Both Listen Up Philip and Appropriate Behaviour – though very different in tone and humour – navigate the tribulations of being heartbroken, aimless and frustrated, with themes of isolation, belonging, exclusion and possibility at their core. They offer us perspectives of New York that feed into these familiar themes, but in altogether original and necessary voices. To watch Listen Up Philip, plus behind-the-scenes extras, go here. To watch Appropriate Behaviour, plus behind-the-scenes extras, go here.